Where does the “magic of Christmas” truly come from? As a child, one tradition I remember more than anything was sitting together as a family in the evening every night in December. My mother would light a candle, dim the lights, and read us a touching Christmas story. The stories were always about how others found the true meaning of Christmas and we could always count on my mom crying with every story she read. 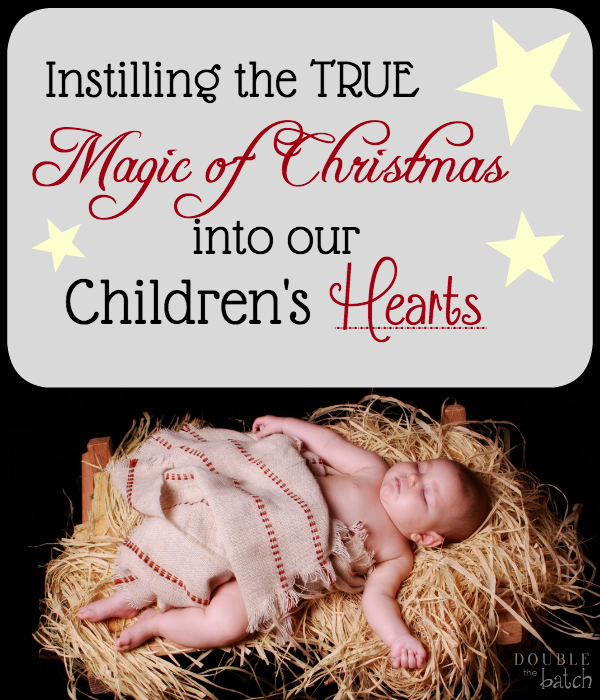 It was always my mother’s intent to instill the TRUE magic of Christmas into our hearts. She taught us from her example the joy that comes from looking outside of ourselves. Because she gave from her heart , she taught us to do the same. Growing up in a family with 8 children, Christmas was never very fancy, in fact, most years money was very tight. I remember one particular year when my dad’s business failed and there was simply no money for Christmas. My mother sat us down and prepared us for the fact that there might be no presents that year. She also reminded us that the most important part of Christmas was really giving to others. I will never forget that year. She was right. I only remember a few very simple gifts from the heart under the tree that year. I also remember the knock at the door and then the line of people from our church that came into our home, their arms filled with food to fill our cupboards. We did not go hungry that year, but most importantly we learned that the true magic of Christmas comes not in the brightly colored packages under the tree but in the giving hearts of all of those around us! The first gift of Christmas was not wrapped in fancy paper, nor did it have a fancy bow. It was not listed in a letter to Santa, or found in a department store. The first gift was the birth of Jesus Christ. He IS the gift! He spent his life giving to all those around him. He found joy in serving others. I know he would want me to teach my children to do the same! 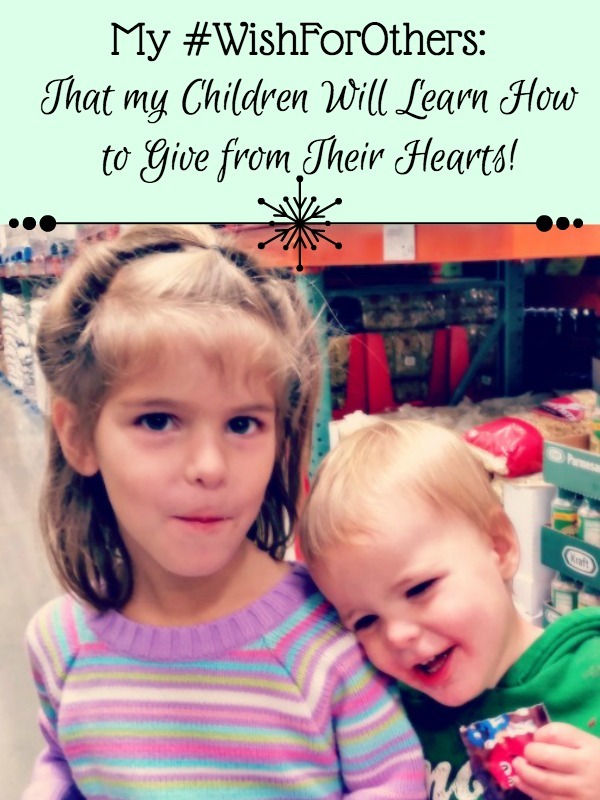 As I previously stated in my post last week (you can read it here) my wish for others this year is that my children will learn how to give from their hearts. How will my children learn the TRUE magic of Christmas? How will they learn to truly give from their hearts? They will learn it from my example and the example of those around them! That’s a heavy burden to carry as a parent! I’m doing my best! I know countless others parents are also doing the same. Have you asked your children what their wish for others is this year? Through a campaign called “#WishForOthers,” Capital One is hoping to help make the holidays a little brighter this year by helping to share and grant people’s wish for others! Share your wish for someone else – a family member, a friend, a neighbor, or a community. You can enter via Twitter, Instagram, or the Capital One Facebook page with #WishForOthers from Nov. 24 through Dec. 23 for a chance to make it come true. Check out www.wishforothers.com to learn more information. Thank you Capital One, for helping to spread the spirit of giving this year!